Stunning from every angle. The best combination of woods and decoration to make her stand out from the crowd. "The Tiger" was her name since I first envisioned her in my mind's eye. 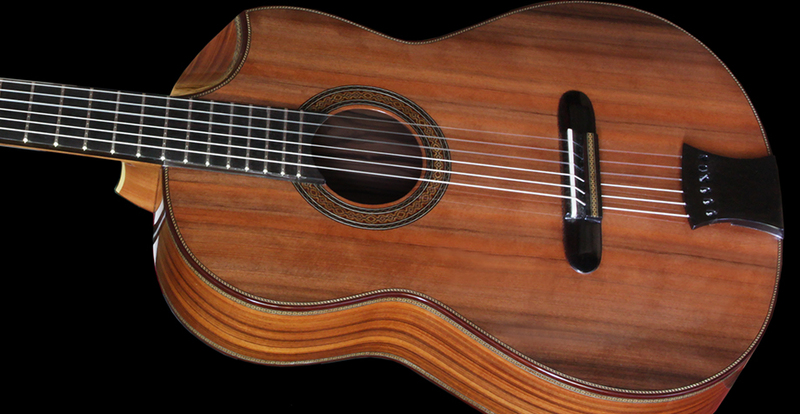 The choice of the best set of Pau Ferro coupled with a stunning Sinker Redwood top. 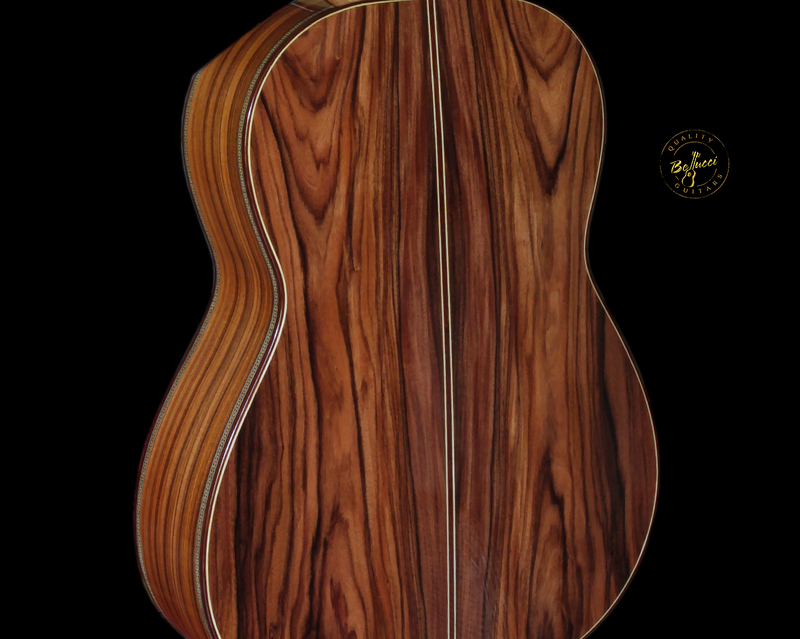 She sent waves of admiration in the workshop as I was stringing her to make the video. She is the queen at the shop and everything about her speaks of Passionate work and a deep knowledge of wood and its luthery capabilities. Her sound's perfect. Well balanced on all her registers. A deep resonating bass with huge sustain and a perfectly clear cut treble line that is merged to perfection to the bass thanks to the exquisite balance of the mid tones. In The Godfather I could admire her amazing poetry and the clear melody always stands in centerstage with minimum effort on the player's side. Romance speaks of her lyrical capabilities and she is a Queen! Playability is perfect. 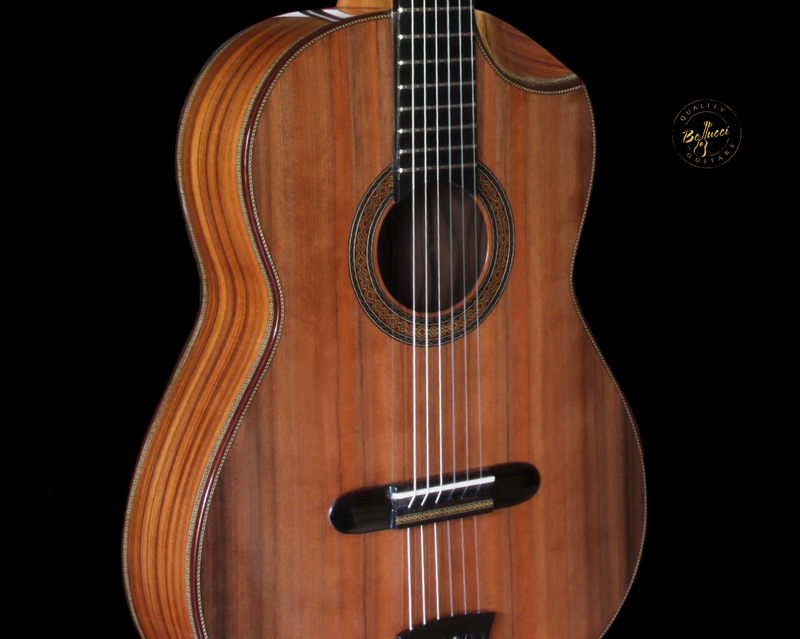 The left hand is never strained and the low action at just 3.5mm at fret 12 accompanied by the swift action make her the perfect guitar for the concert player. I love this Tiger! S.D.G.